Everyone is gone today and it is awesome. It is terribly cold outside but the snow is so pretty. I'm sitting in the living room procrastinating from all of the laundry and cleaning I need to do today and I came upon a folder of pics on my computer called "Ode to Edmonton" so I thought I'd do a little tribute to the fun times I had before I ended up here. Now that I'm living in Linden again my time away seems really far away and sometimes I forget about it but it's fun to think about all of the adventures I had before I landed HOME again. First stop after High School: Sweden, where I met some FANTASTIC people and learned lots about God. Most of the girls I met here are people that I still admire the most out of anyone I've known. I think about them often and I am thankful for the experience that I had in Sweden. 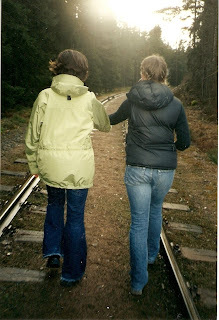 This pic is with Heidi the day that she left Sweden and I didn't see her again for a very very long time. Now she lives in Santa Cruz and working there for the summer that I did is one of the best things I have done. Lets skip over my 2 years at Canadian Bible College because let's face it... I didn't like it there and I can't say it had a huge impact on my life in any way. 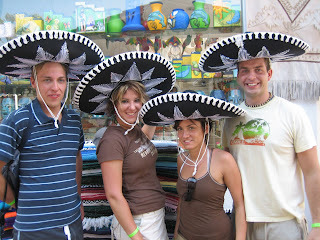 Mexico with Kirbie, Kyle and James. I am obviously not good at disguising that that shot tasted GROSS!! 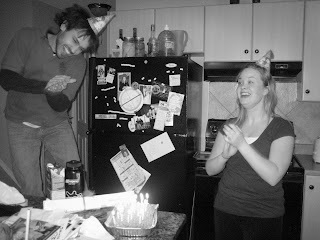 Oh Kyle, you were so much fun. 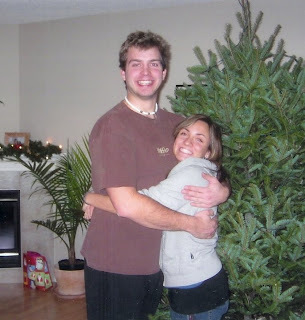 Here's when he brought us a Christmas tree so our new house would look festive! 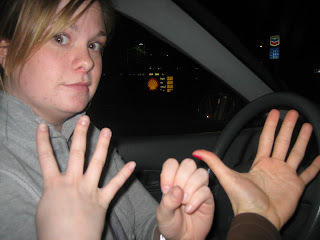 Sarah and I driving around Seattle trying to figure out where the heck Highway 405 is.... it took FOREVER!! 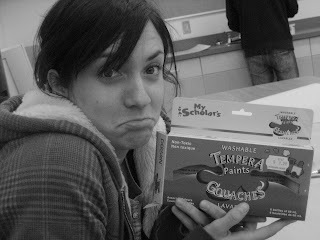 And then there was the Art class I took with Angie. I was a little bit out of my league to say the least. This was a very common look for me to have on my face during this class.